Hello everyone! Happy Wednesday! Can I just say how unfair it is to get a bout of the stomach bug in SUMMMMMMMMMMMER?!?! I mean–seriously. Not fair at all! So, thanks to whoever passed that gem of a gift along. Hopefully I’ll be good as new tomorrow! Anyways, the silver lining to that nasty-ness is: losing almost 6 pounds and being able to watch The Today Show for the past 3 days. I love The Today Show so much! I think it’s doubly special to me because it reminds me of when I was on maternity leave with both boys (they were both born in July) and I would plop myself on the couch during nap times and watch The Today Show while I finally was able to eat something. 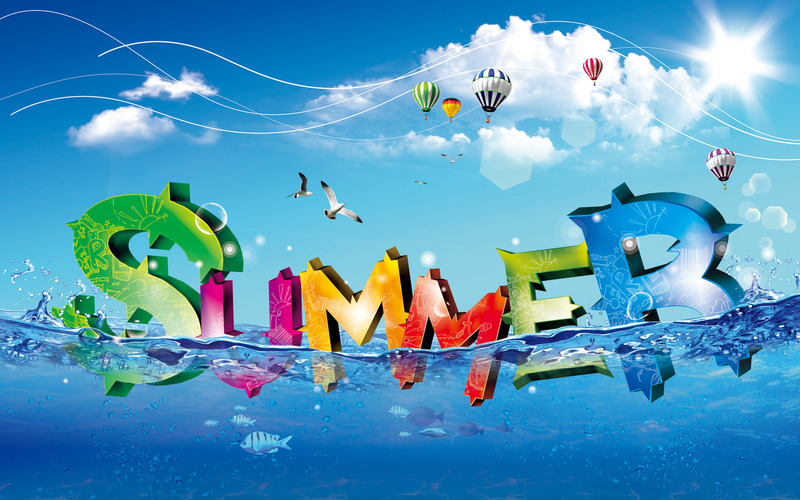 What’s everyone looking forward to during summer break? Is anyone doing something fun and out of the ordinary? I personally cannot wait to get myself and the boys in a pool! Every year, I tell my parents they need to put in a pool and every year they tell me they want to. I’m still holding out hope that one day it will happen. If we personally knew someone with a pool, we would never want to leave. Isn’t that what summer is all about? Pools and sunshine? I think so! I also hope to continue walking with my friends in the evenings on our trail system that ROCKS. Along said trails? A diner, a pancake house and a DQ. I’m not saying we will stop and check them out or anything, but I will say I wouldn’t feel as bad about the calorie intake with the walk. I also need to get a bike. It’s so weird I don’t have a big girl bike, I know. The only one I have is one I got when I was 12 and it’s in my parents garage. I need to make a note of this and ask for one for Christmas or something. Outside home projects are always something we tackle in the spring/summer. Last year we built a deck, this year we are putting a rod iron railing up and adding a few finishing touches. We (when I say we, I mean Brock) are also in the process of painting our privacy fence to match the house and we also started on landscaping this summer. Inside, we have been putting more shelves in bedroom closets and coming up with plans to build some built in closets in the boys’ play room. Home projects are so exciting to me because I’m a person who loves to see progress. It makes me mucho happy! If nothing else, here are my hopes for this summer: that I can slow down enough to have friends over for a cookout–even if the house isn’t spotless, that I can enjoy nights outside with the kiddos, that I can try new restaurants and go on a few dates with my hubby. 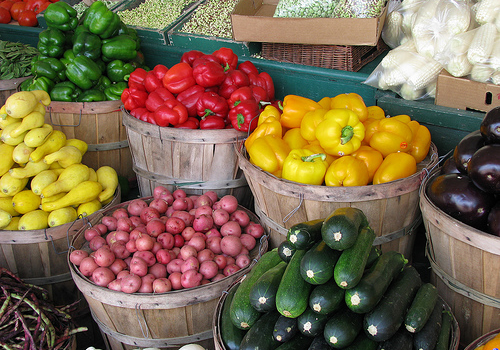 A few trips to the farmers market would be icing on the cake.